A team that’s hard to beat that keeps getting beat. That’s what my colleague Scott Johnson said yesterday and I couldn’t have put it better myself. For all of Cardiff’s endeavor and praise for ‘being hard to beat’, we keep getting beat. It’s worth being realistic about things, though. This is Everton, a top side who, as Warnock put it, spent £30mil on a defender and £35mil on a forward. Those are figures Cardiff City could only dream of. There’s no shame in being defeated by Everton. In fact, we should take the positives and appreciate that Cardiff limited Everton to just the single goal. What is perhaps worrying, though, is Cardiff’s lack of creativity and thrust in the final third. That, plus more, in this week’s VFTN Analysis. Catch Terry Phillips’ match report and player ratings here. Cardiff City lined up in a slightly lopsided 4-3-3. While the club graphic indicated that Victor Camarasa would operate on the right of midfield, but it was actually Harry Arter who took up a position out on the wing. #EVECAR | #CardiffCity team news! Everton lined up in an attacking 4-2-3-1 system, with a double pivot of Idrissa Gueye and Andre Gomes backing up their attacking trident of Theo Walcott, Gylfi Sigurdsson and Bernard. They operated with attacking full-backs in Seamus Coleman and Lucas Digne. Cardiff were pretty much bossed all over the pitch. Everton had over 70% possession, meaning that Cardiff had little of the ball to threaten the Toffees’ goal. The most alarming stat is perhaps that Cardiff failed to complete a single dribble during the match. Warnock will have to take the blame for this, with Cardiff’s most threatening player, Josh Murphy, left on the bench. A former Swansea man was the main cause of problems for Cardiff City on Saturday. Icelandic star Gylfi Sigurdsson came up against his national team captain in Aron Gunnarsson and I’m afraid to say that the Everton man came out on top. Not only did Sigurdsson get the winner, but his constant movement made him a hard man to mark. As seen in the example below, he kept finding space in between the defence and midfield. We learn this earlier on in the season, but it seems that Neil Warnock seemed to forget how ineffective Harry Arter is on the wings. The Irishman was deployed there again on Saturday, but was largely ineffective in both attack and defence. Cardiff completed a grand total of zero dribbles on Saturday and you have to think that is largely as a result of Arter playing out wide. With Josh Murphy on the wing, City would’ve had a dangerous runner who would be direct. Arter just doesn’t have the skill or pace to do that job. In defence, he also lacked. Arter is a superb presser, but his tendency to do this and drift in field meant that Everton’s attacking right-back Seamus Coleman found lots of space to run into. 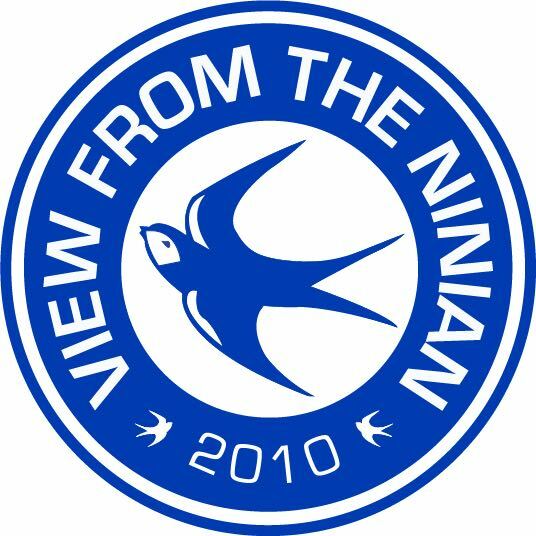 View From The Ninian’s Ben James was at Goodison Park on Saturday and his major gripe was the side’s failure to make the most of possession when they got into the final third. He said that City were decent in possession between defence and midfield, but as soon as it got to the final third, mistakes were made and we were not clinical. This was really evident when analysing the match. The below is a classic example. Callum Paterson has done superbly to press and win the ball back, he’s played in Victor Camarasa. The Spaniard has Joe Ralls running beyond – a really good opportunity – but misplaces the pass straight through to Jordan Pickford. Cardiff continue to huff, continue to puff but fail to make much impact. There’s nothing new there, and it’s systematic of being a small fish in a big pond, but City must be more clinical when they do get chances to go forward. That was the biggest failure on Saturday. They defended well, limiting Everton to just the single goal, but it was largely comfortable for the Merseysiders. Warnock too must take part of the blame with his set-up. It’s clear to most fans that Arter should be playing centrally, but Warnock stuck him out wide and that had a negative impact on the side.